There's no doubt about it – even a simple wooden staircase or laminate flooring can give your house or flat a prestigious look. Imagine, then, what you can achieve with some exotic-looking interior wood cladding! With a bit of help from Fantastic Handyman, you can cover every inch of your walls with any wooden wall cladding on the market. To get in touch, simply ring us on 020 3404 4045, type your request in our real-time chat, or submit a short booking form and allow the experts to take it from there. Whether you wish to install interior wood cladding or to facelift your exterior wall instead, the quick and precise specialists can do both without delay. The team can readily offer oak, ash, maple, beech, walnut and other wood type designs to meet your individual aesthetic preferences. The pros also know how to properly mount tongue and glue wall panelling for when you need a classy, element-resistant exterior panelling. And if your aim is to turn your London flat into the rustic retreat you've always wanted, then the experts can also provide you with bespoke beadboard panelling. If you don't have the time to stock on faux or hardwood panelling yourself or don't know which style to choose, then the professionals have you covered. After a careful research, the team will order and supply you with suitable materials that will enhance your home’s appeal without exceeding your budget limitations. You will be able to check the type and cost of each chosen material in your detailed final bill. 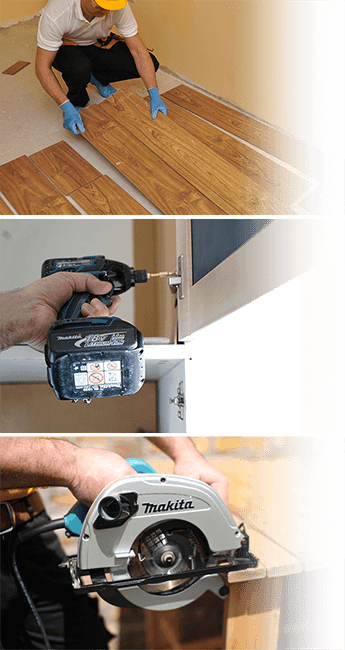 There's no need to rummage your old shed in search of tools – the handymen will arrive with everything they need to mount your selected wooden wall panels. The polite and knowledgeable specialists have the training and the certificates required to assist you with simple or more complex wood cladding tasks, such as fitting tongue and groove cladding or wall beading panelling. Your wooden wall panels will be selected, handled, and mounted to best fit your home's style and dimensions. The experts will work swiftly and efficiently and will deliver your upgrade without leaving any dust or debris behind. When mounting your decorative wall panelling, the polite and professional team will be really conscious of protecting your furniture and other possessions in your home. After the job is done, you will enjoy a brand new cladding without a single debris or scratch in sight. 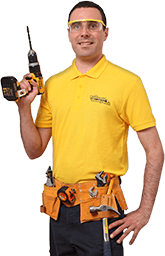 To further ensure your peace of mind, each handyman will be also covered by a comprehensive public liability insurance of up to £5 million.